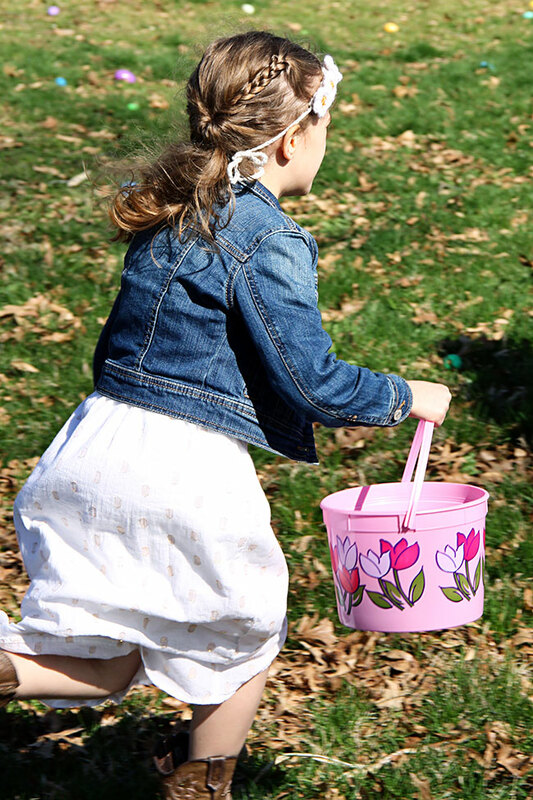 Today I am sharing some products from a small business owner named Caryn. 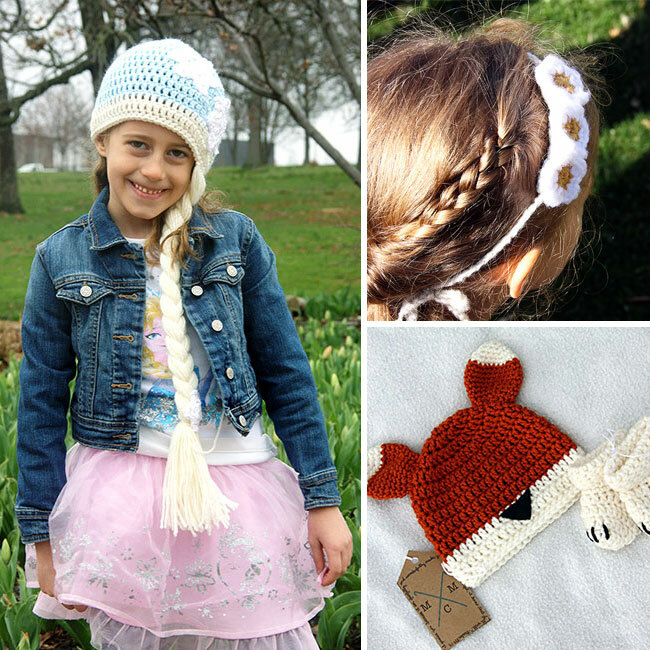 She is the proud owner of an Etsy shop called Mini-Mae Crochet. 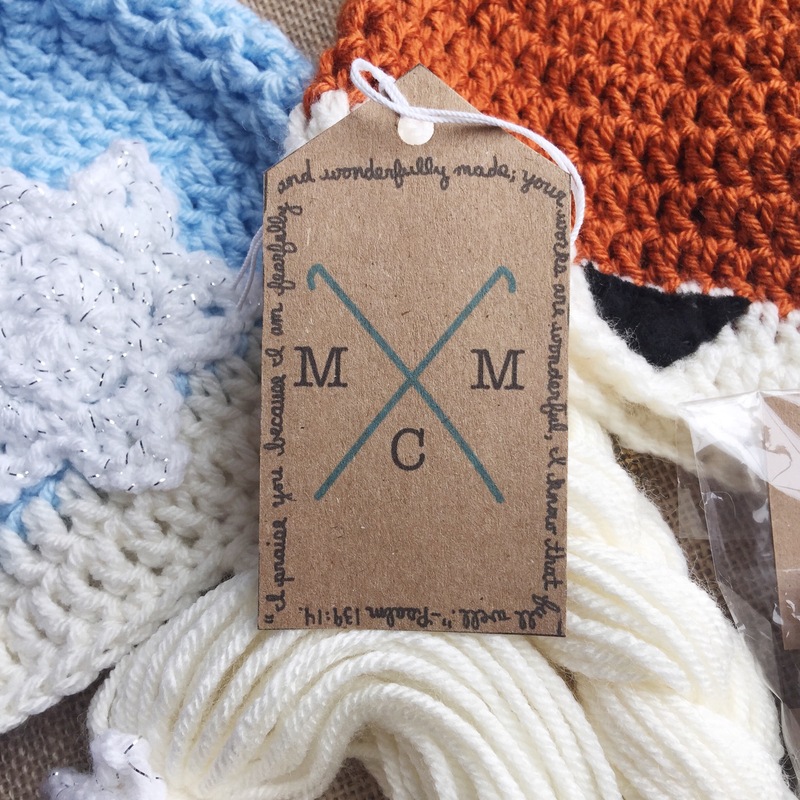 Her shop opened in the spring of 2014 and she hasn’t stopped crocheting since! 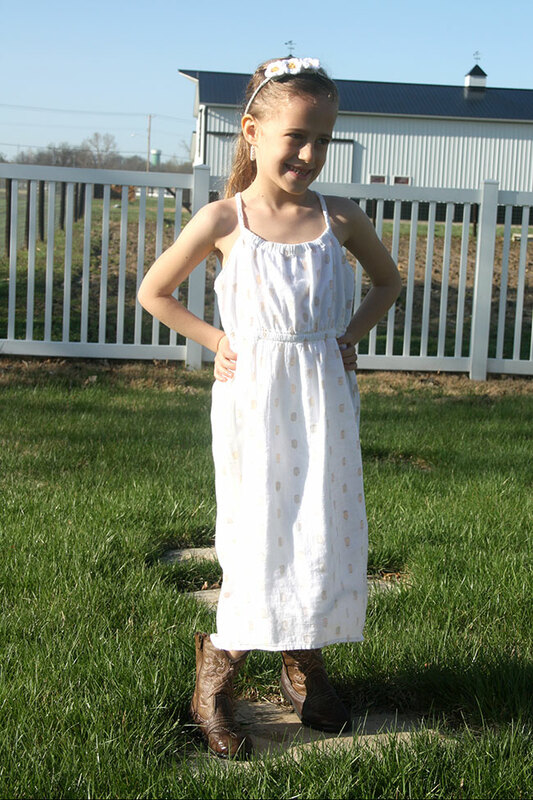 Creating items for customers gives her great satisfaction. 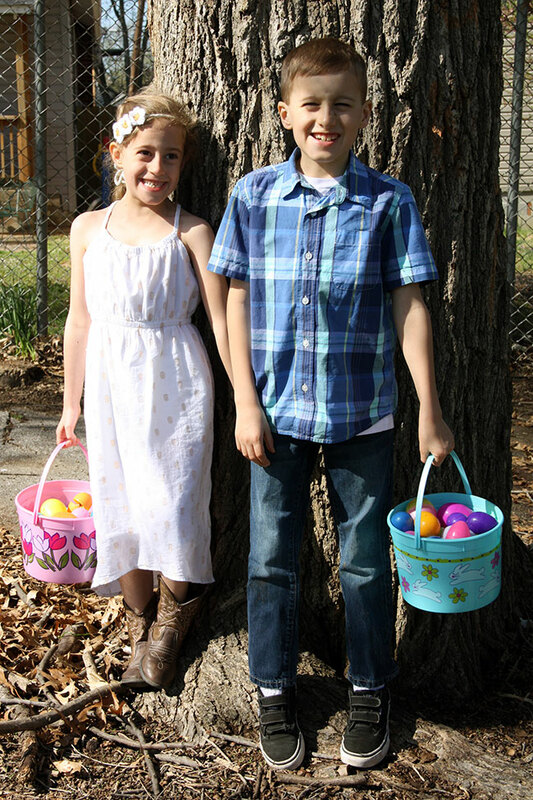 Some of her products include baby clothing, children’s costume hats, and props for baby photography. 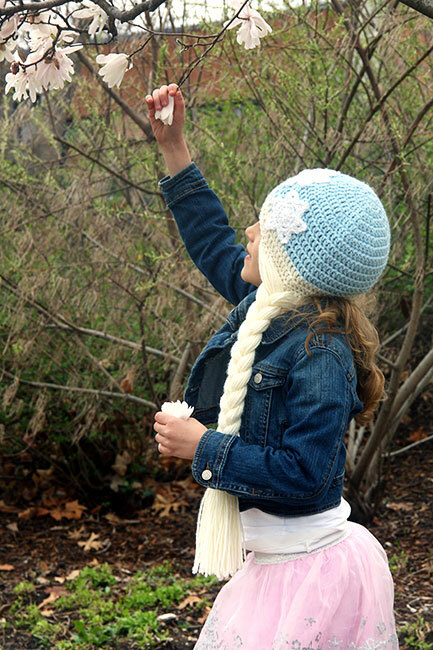 She loves seeing her sketched ideas come to life through the art of crochet. 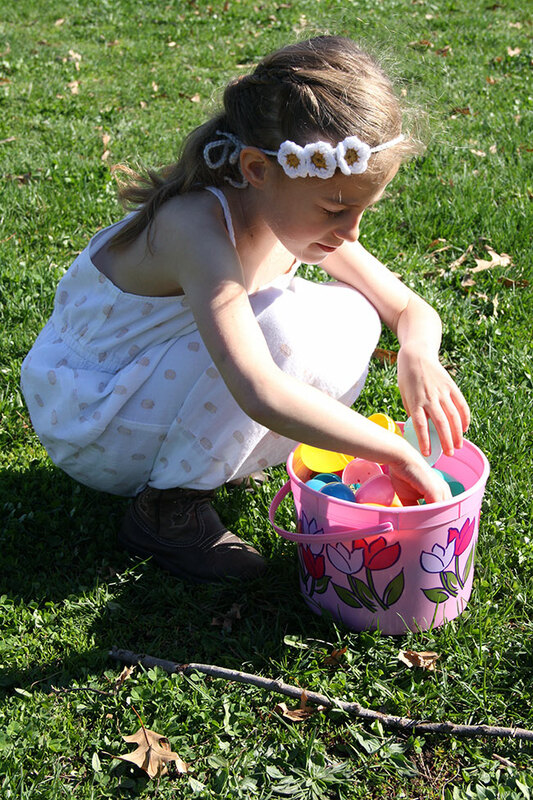 When a finished product makes her smile, she knows her work is complete. 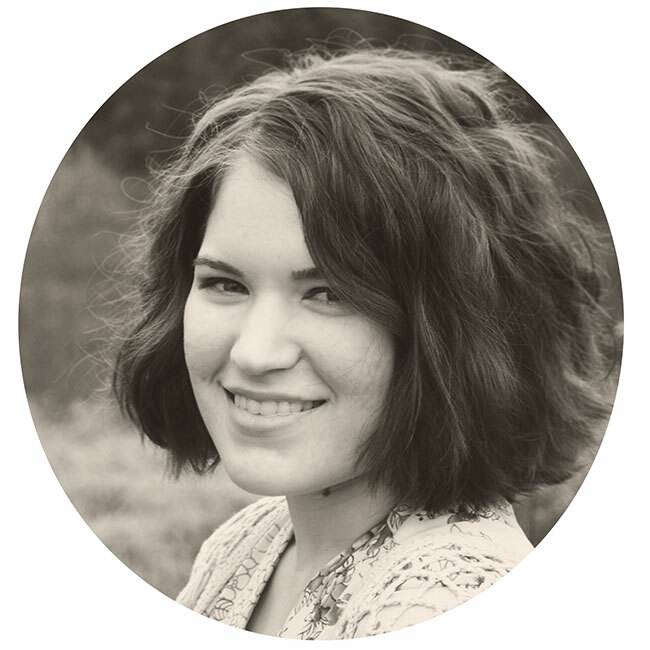 Besides crocheting, Caryn enjoy spending time with her family, being in nature, long car rides, watching Disney movies, and oddly enough, cleaning. She aspires to grow in her business, learn piano, teach herself Calculus, knit more, visit the Redwood forest and see Alaska’s Aurora borealis. 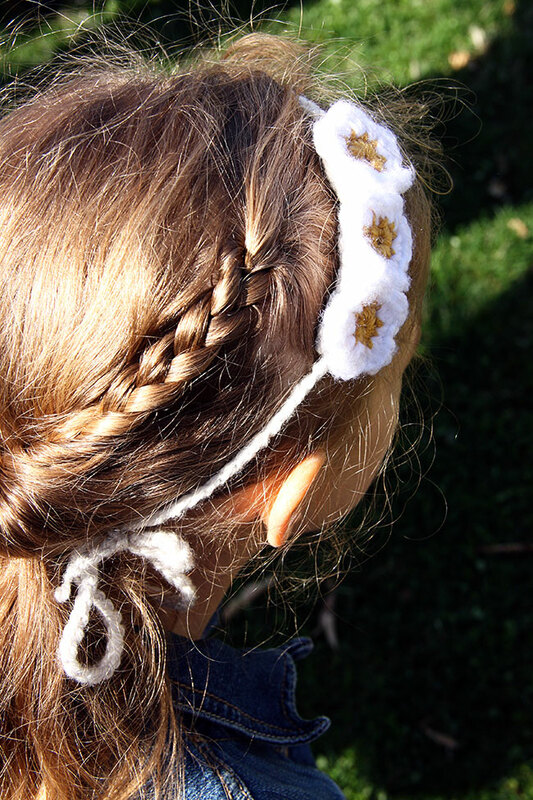 Caryn is sharing her Dainty Daisy Headband Pattern for FREE, which you can download the pdf file by clicking HERE. 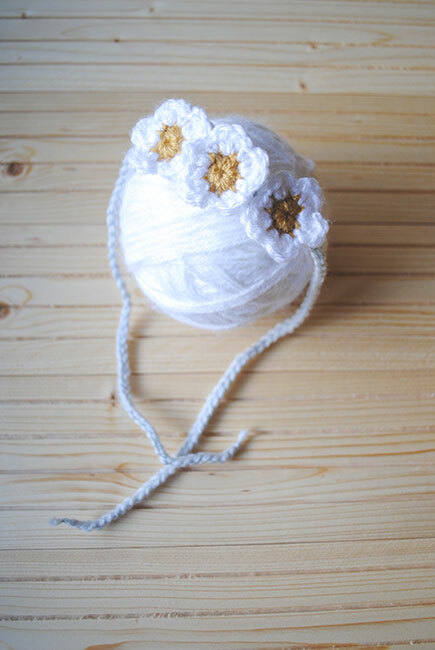 You’ll see this gorgeous spring headband on Autumn in the photos below and if you keep reading you’ll also see a couple other products made by Caryn. 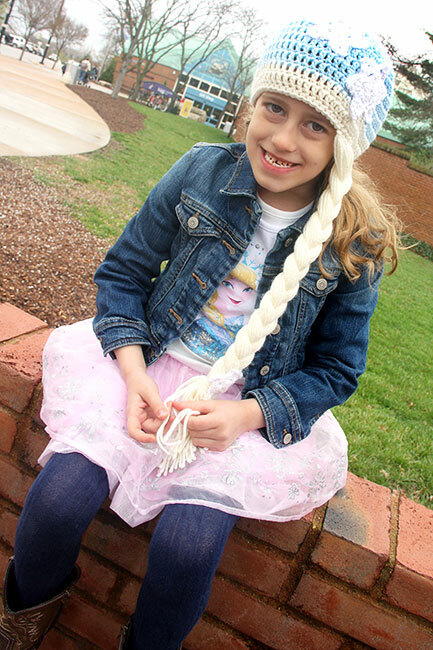 If your little girl loves Elsa and is excited about the next Frozen movie, she would love this hat! 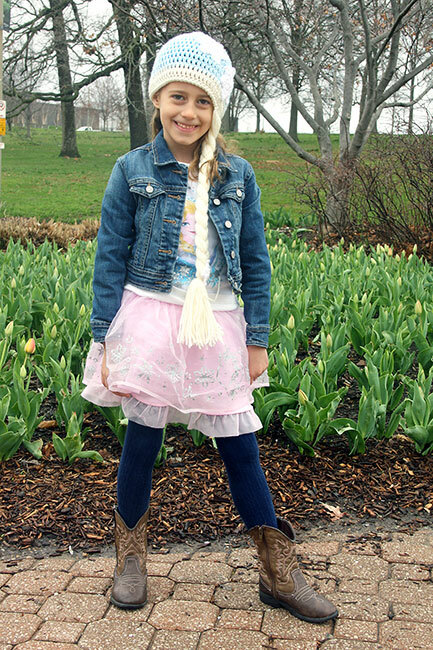 Autumn wore this hat recently on our trip to the St. Louis Zoo and it was perfect for an early spring day where we had a few sprinkles of rain here and there. 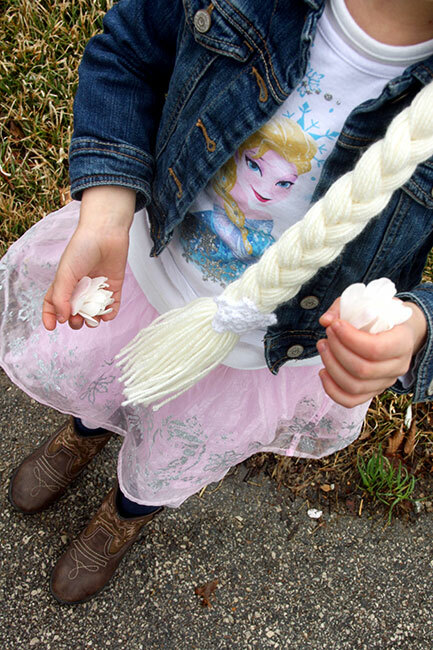 She also wore her Elsa outfit from her last birthday party, complete with the tulle skirt! 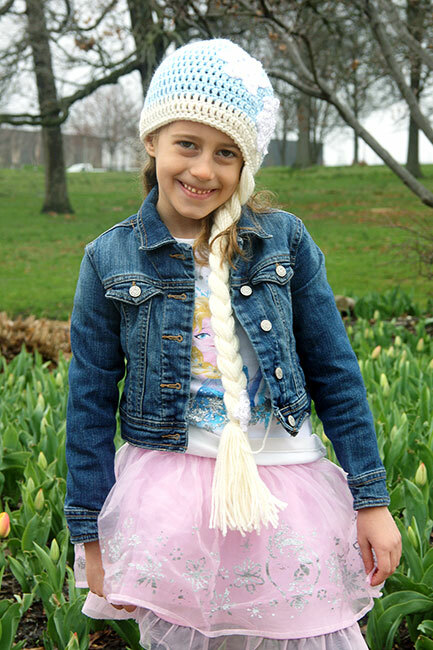 It all looked beautiful with this crocheted hat. 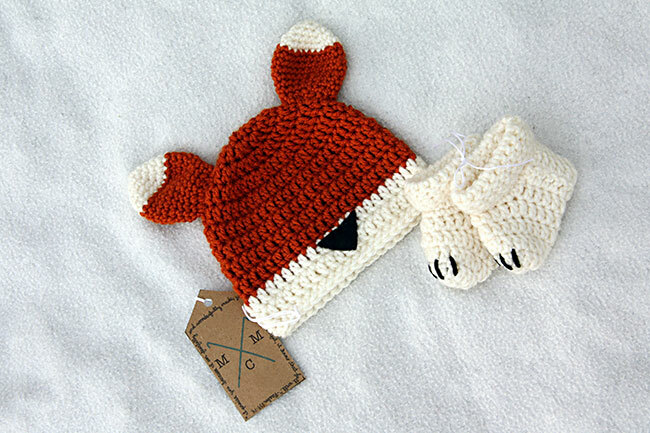 Caryn also sent me this little hat and booties from the Arctic Fox – Crochet prop set. Isn’t the little fox tail on the pants adorable?! 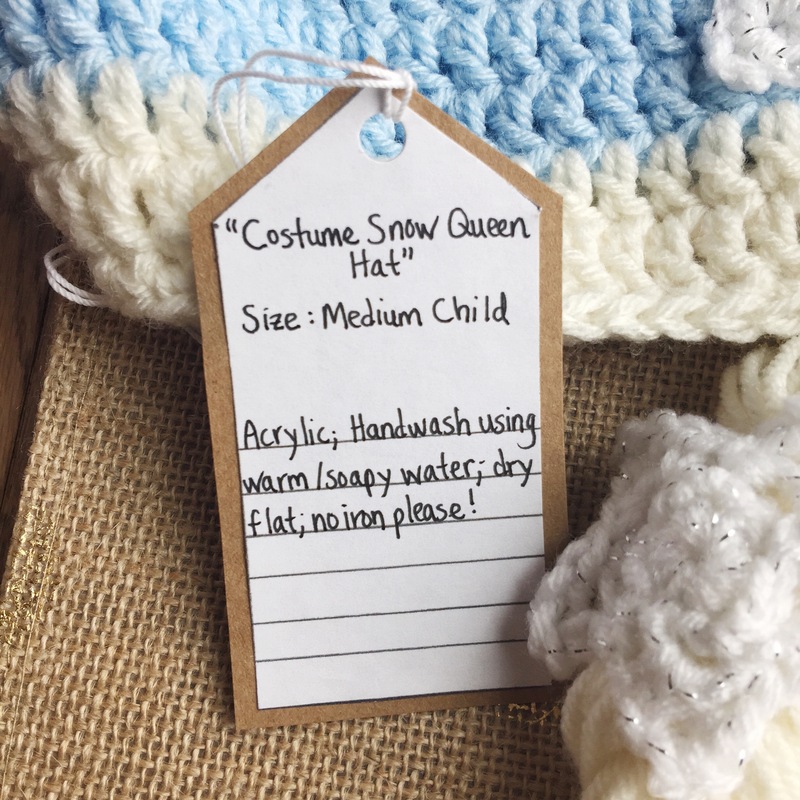 If you are in need of a shower or baby gift or if you are currently pregnant or have a little one that is 12 months or younger, you need this! Caryn prices her merchandise at affordable prices, be sure to check out her Etsy site to see other lovely photography baby outfits. 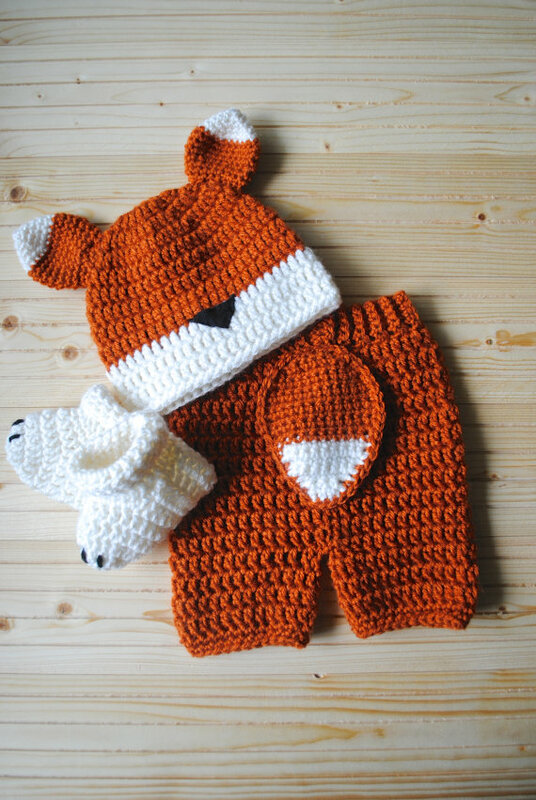 Here is a photo I took of the adorable fox hat and booties set she sent me. I just got a macro lens for my Canon Rebel and had fun taking this detail shot of the booties. You can see an up close look at her stitches! Just beautiful work! 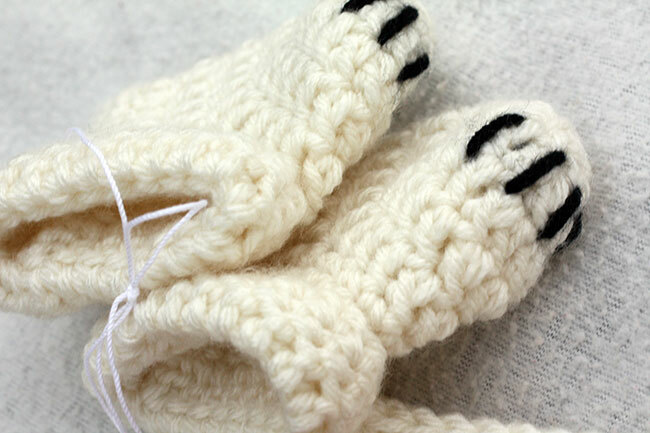 This is a photo of the entire set from her Etsy site… got to love that little fox tail! 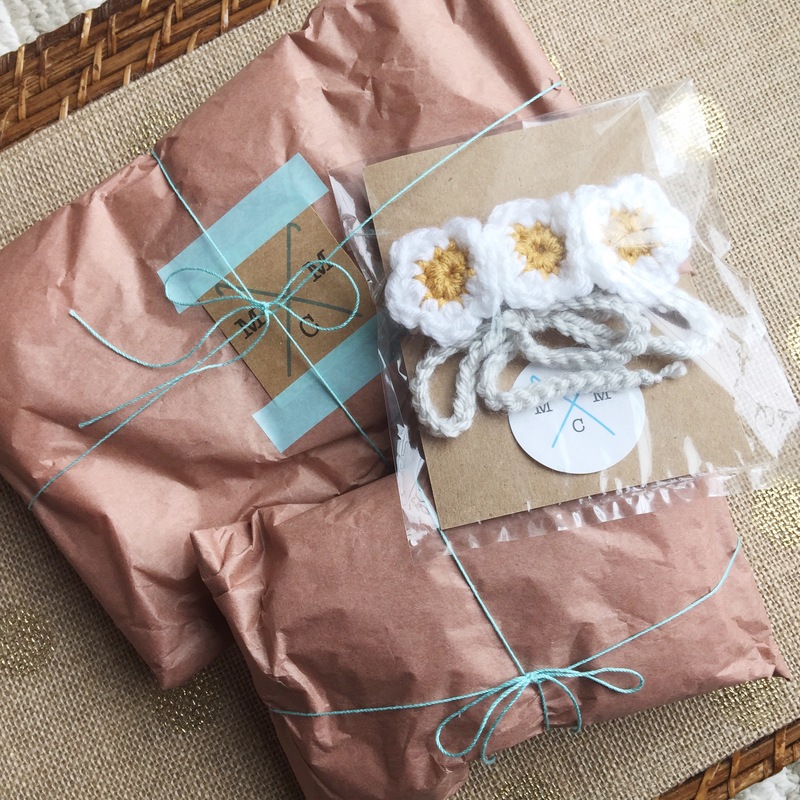 When Caryn sent me her goodies, she bundled them up with care. 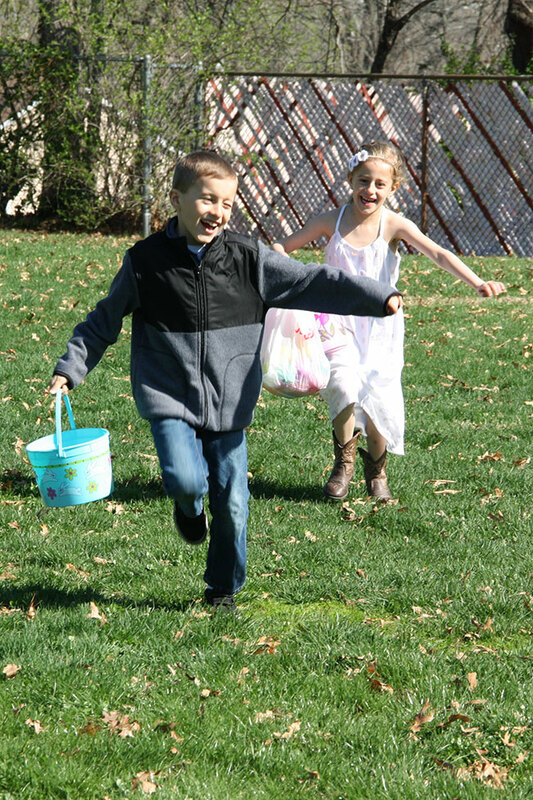 Each piece was wrapped in tissue and tied with a string. And, I just adore these tags that tell you how to handle each piece. 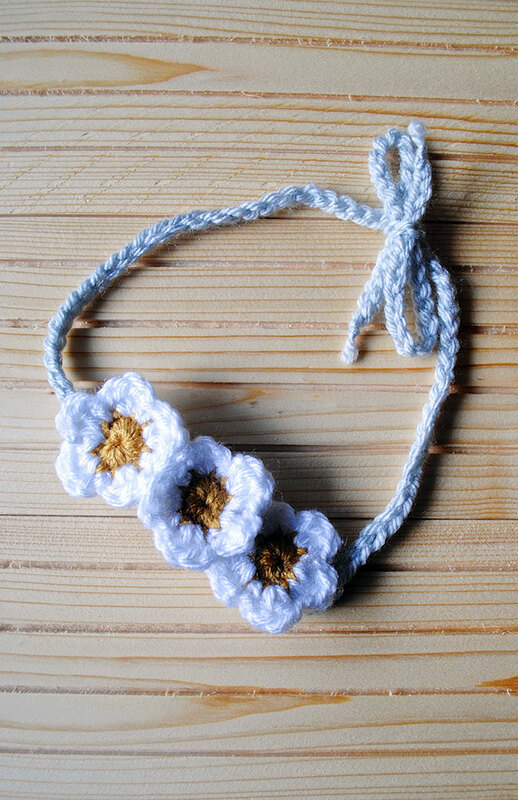 Hope you’ve enjoyed seeing some of these lovely pieces by Caryn at Mini-Mae Crochet. I am including her social media links to the bottom of this post, I would love for you to support this small business owner and take a look at her merchandise when you get a chance. Mini-Mae sent me these products for review and I have given my honest feedback on them.